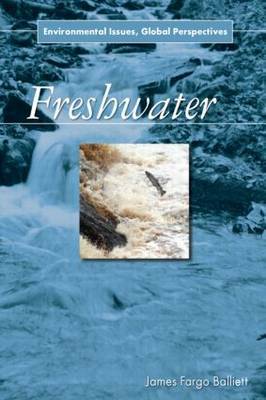 Freshwater is our planet's most precious resource, and also the least conserved. Freshwater makes up only 3 percent of the total water on the planet, and yet the majority (1.9 percent) is held in a frozen state in glaciers, icebergs, and polar ice fields. This leaves approximately one-half of 1 percent of the total volume of water on the planet as freshwater available in liquid form. This book traces the complex history of the steady growth of humankind's water consumption, which today reaches some 9.7 quadrillion gallons per year. Along with a larger population has come the need for more drinking water, larger farms requiring extensive irrigation, and more freshwater to support business and industry. At the same time, such developments have led to increased water pollution. Three detailed case studies are included. The first looks at massive water systems in locations such as New York City and the efforts required to protect and transport such resources. The second shows how growth has affected freshwater quality in the ecologically unique and geographically isolated Lake Baikal region of eastern Russia. The third examines the success story of the privatized freshwater system in Chile and consider how that country's water sources are threatened by climate change.